Place raspberries, honey and lime juice in a small food processor and blitz until everything is well pureed. If you like, you can strain the mixture through a fine mess sieve to remove the seeds. 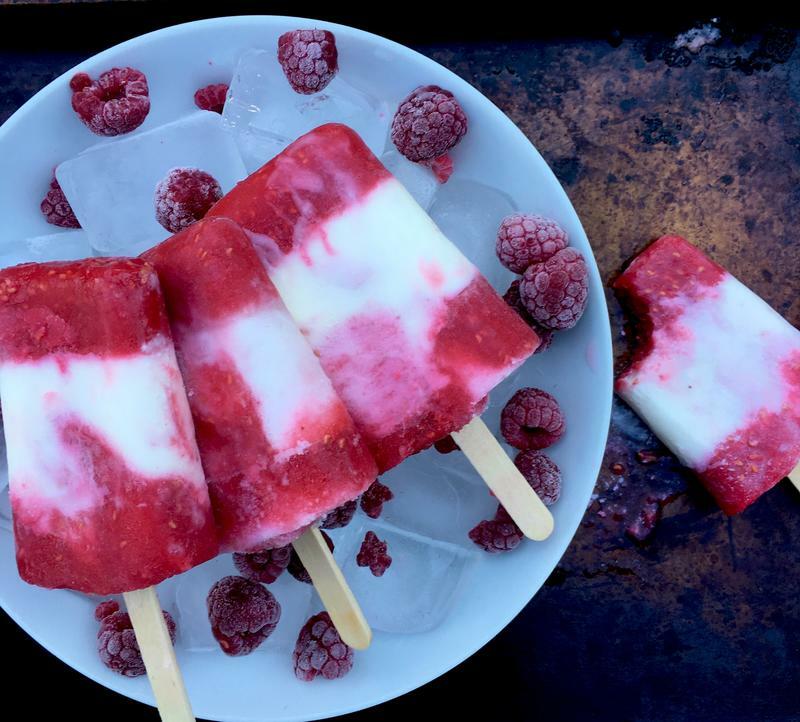 Otherwise, evenly divide the raspberry puree into the bottom of your popsicle molds and place in the freezer for an hour. In the meantime combine the coconut milk, honey, lime- juice and lime zest. Remove the popsicle tray from the freezer and evenly divide the coconut lime mixture into the molds. Place the popsicle sticks into the mixture and put back into the freezer until frozen.